Heather is a member of the firm’s real estate department, focusing primarily on the areas of residential and commercial real estate closings, contracts, and title clearance. In addition to her work in real estate, Heather also handles a variety of transactional matters, including drafting wills and corporate and limited liability company formation. 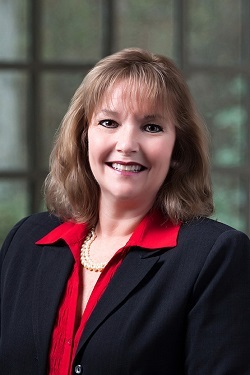 Heather is a graduate of North Springs High School in Sandy Springs, and holds a Bachelor of Business Administration in Marketing from the Terry College of Business at the University of Georgia. Heather earned her law degree from Georgia State University in 1992. An avid supporter of her local community, Heather actively participates in numerous community associations and serves as legal council to the Clothes Less Traveled Thrift Shop, Inc. She is a member of St. Andrews in the Pines Episcopal Church and lives in Peachtree City with her husband, John. Heather and John have three children, daughter, Lauren, who graduated from Georgia Tech, and their twin sons, Matthew and Christopher, who both attend Kennesaw State University.